I have this thing with getting the lamps right in my rooms. But, it seems that it is not actually possible for me. Not only do I need lamps for accent lighting, but also for task lighting, and I want them to look right all at the same time. 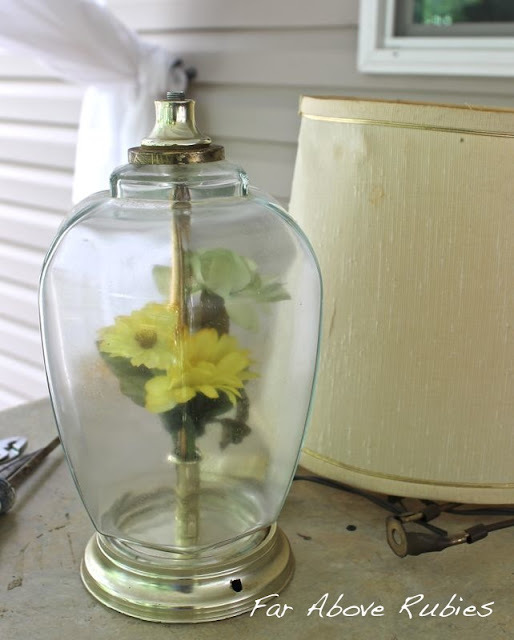 I have been trying to remove the box store generic lamps and replace with whatever I can find in my parents' attic, etc. 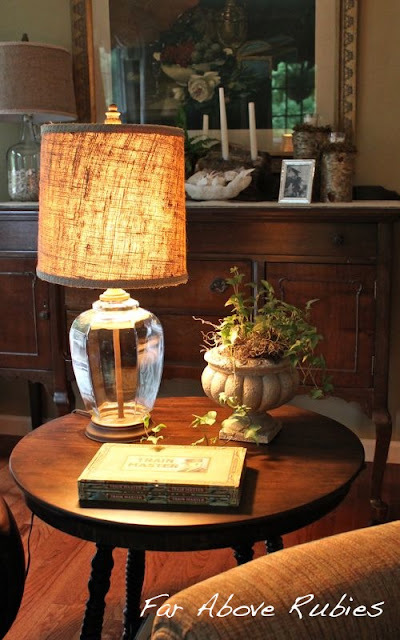 One trip to a local antique mall, and I found an ugly lamp to transform, but I loved the shade, or the potential the shade had. It was all of $7.50. But I thought I might just work with the lamp too. So I took it apart and cleaned it out, then spray painted the base and other non-glass parts with brown, textured paint. I love rewiring lamps for some weird reason, so I rewired it then put it back together and now I love it. 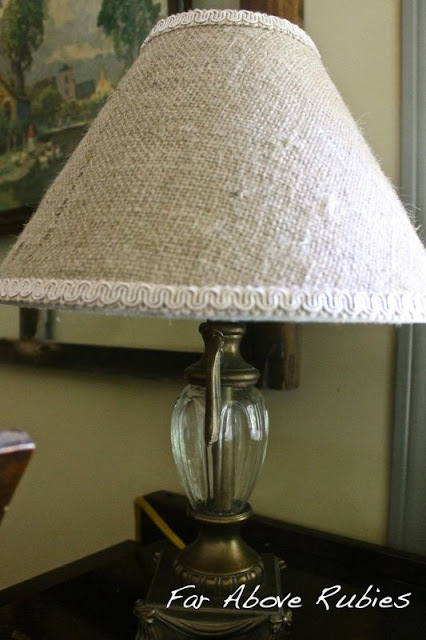 I covered the old, ugly, stained shade with burlap and added the trim. 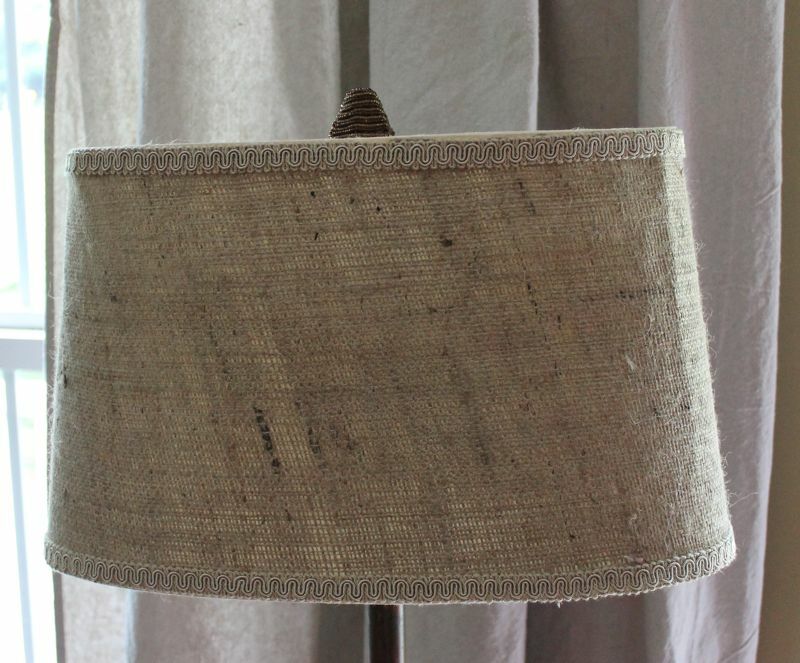 That, of course, led me to cover more shades with burlap. This shade actually came on a $14 lamp. I thought it would be great on this copper lamp floor my dad made in high school. Then I "had" to cover the shade on the piano lamp. I love the way they look at night, but I cannot for the life of me capture that with my camera. I think it gives a more cohesive look, although they are not all the same. I'm trying to get away from the beaded shades I had and add a hint of mid-century, vintage style. 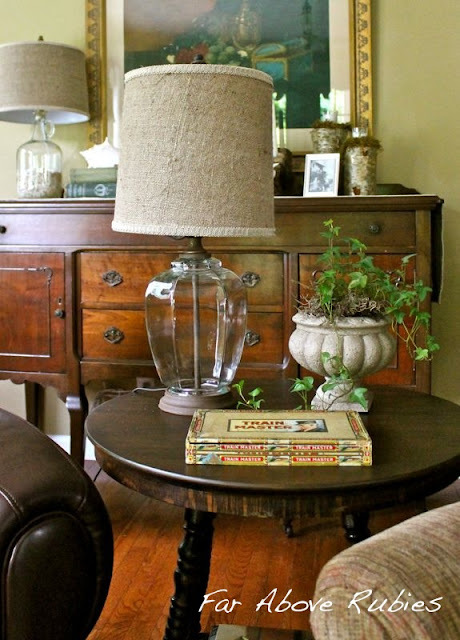 ...and I cannot wait for this mid century beauty to arrive!! Do any of you have one of these double lamp shades?? I have fallen in love with them. 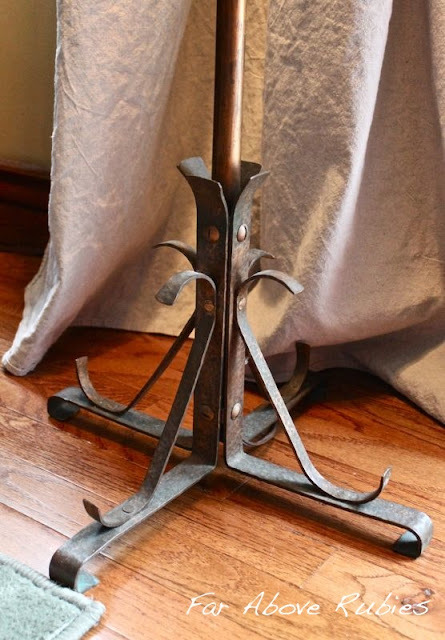 I have the perfect mid-century floor lamp of my grandmother's to put it on. Now I think I'm happy with the lamp situation as they are all vintage except the one on the piano, and none were made in China. Gotta love the "green" aspect of that. I can't believe the change in that glass lamp. Very nice. Like the recovered shades on all. Oh boy, you are clever and talented! I love the lamp's new look, it looks so elegant with what you did to it. Great job! Great job! I really love the burlap! The entire room is so warm and cozy! I love the way you've decorated your room. It looks so cozy and inviting. The lamp makeover is great. I've been keeping my eye open for interesting lamps but haven't found anything good recently. I'm visiting from Wow Us Wednesday. I LOVE your lampshades! You've inspired me to get busy and deal with the ugly, outdated shades on the lamps in my living room. I may even repaint the lamps before I'm finished. Thanks for sharing - you always inspire me! I just noticed the comment above saying that this was inspirational to her. I feel the same way and was going to say the same thing. 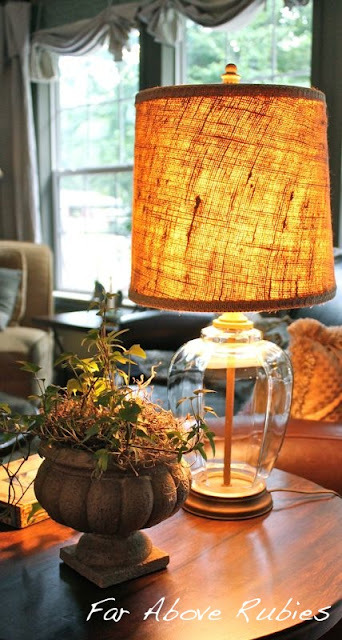 There's just simply no excuse to hate your lamps when you have a little paint, inspiration, and creativity to use. Also: For some unknown reason, your blog on my side board says your most recent post is two months ago. I have no clue what blogger schmogger is up to now, but I hope it corrects itself. UGH. The burlap looks great Anita. I love all the textures in your living room. Hope you have a wonderful weekend! Kudos, to no lamps made in China! 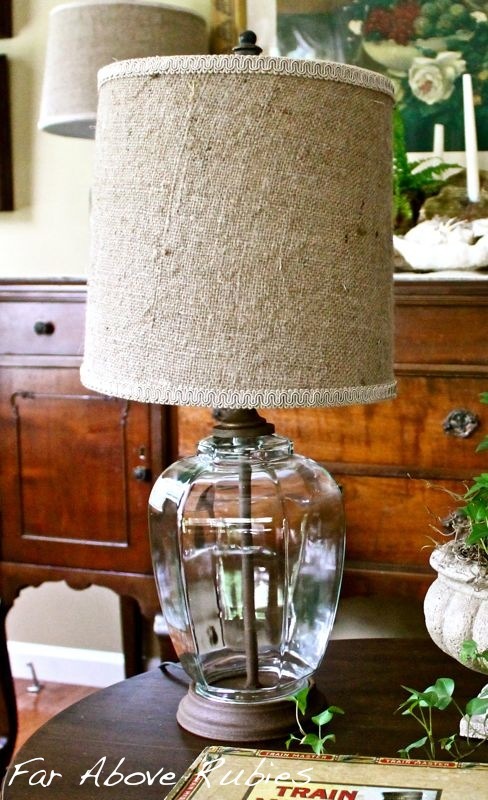 as to the burlap and trim...I love the way it ties all your lamps together. 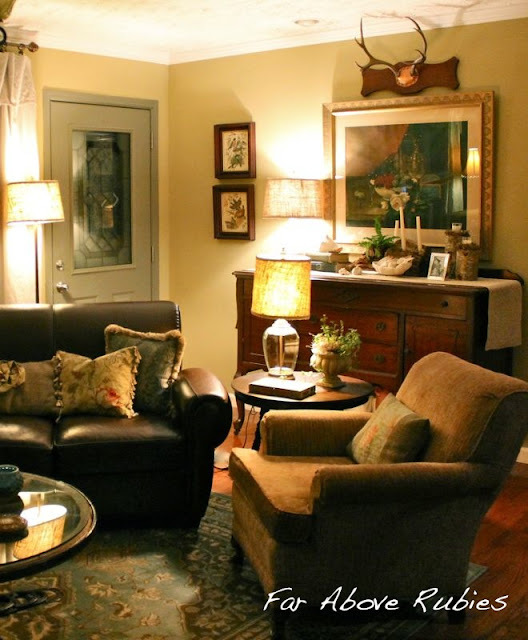 Your living area is so cozy looking. I love it. It has a very comfy feel to it. 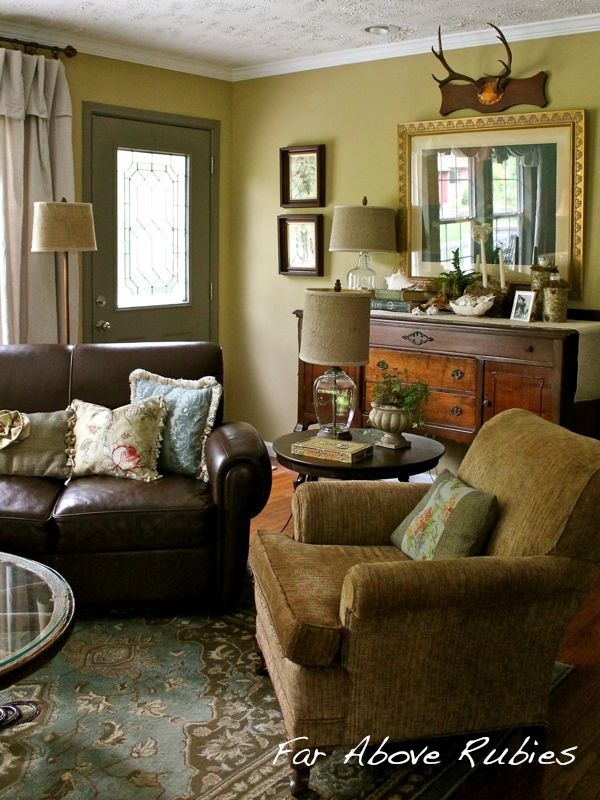 Beautiful living room and I love how you spruced up the shades! Young Lady, You sure have a nice decorating touch!!! Always looks so inviting at your place. I love all of the lamps! They look fantastic and you have such a warm, inviting living room. Found you at french country cottage and am now happily following you! Would love for you to pop by sometime for a visit!! Anita, I like this look! Thank you for joining me at Home Sweet Home! Very charming! Thank you for linking up at Feathered Nest Friday! Hope to see you again this week!